An exhibition explores the paradoxes of the pre-Raphaelite Brotherhood by presenting its works alongside older masterpieces. In 1848, more than a dozen years before artists in Paris rebelled against the French Academy to create Impressionism, William Holman Hunt, Dante Gabriel Rossetti and John Everett Millais —aged 21, 20 and 19—launched a very different artistic revolt in London. Deriding the formulaic teachings of the Royal Academy and calling Sir Joshua Reynolds, its revered first president, "Sir Sloshua" to mock his free, brushy, grand style of painting, the trio, plus four lesser lights, started a secret society to advance a new aesthetic. Calling themselves the Pre- Raphael ite Brotherhood, they favored crystalline precision that betrayed no signs of brush strokes, eschewed idealized figures and dramatic lighting, and subscribed to the critic John Ruskin's instruction to seek truth in nature. 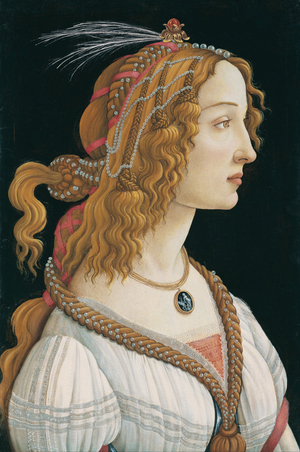 But as "Truth and Beauty: The Pre-Raphaelites and the Old Masters" here at the Legion of Honor demonstrates, they were in reality a bundle of contradictions and paradoxes. Intent on creating something novel, they nevertheless looked back to myth and medieval literature for subject matter or sometimes simply invented nostalgic scenes, filling their paintings with symbols and hoping they would be read like books. They believed in observing nature but sometimes depicted it in unnatural colors and flattened surfaces. In tune with their name, they sought to return to the practices of artists who preceded Raphael (1483-1520), but they actually esteemed him, giving him a place on their list of "Immortals" along with Michelangelo, Fra Angelico and Leonardo da Vinci. It was the saccharine, postured images of Raphael's followers that riled the Brotherhood, yet they sometimes made sweet, overripe paintings themselves; and they eventually came to emulate the lush, stirring works of many Italians who came after Raphael, like Veronese. 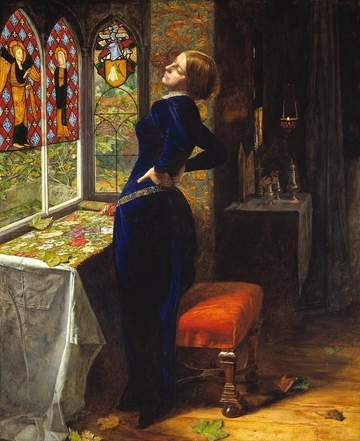 "Truth and Beauty" best conveys these beginnings on a wall devoted to Millais's famed "Mariana" (1851), which alludes to a story told by Shakespeare and Tennyson : Standing beside her velvet stool, at an arched, stained-glass window portraying the Annunciation, attired in a glowing, cobalt-blue dress, a weary Mariana yearns for death because she was rejected by her lover after her dowry was lost at sea. Autumn leaves and her unfinished embroidery convey the melancholic passage of time. Nearby is Van Eyck's "The Annunciation" (c. 1434/36), with Mary in a blue dress before arched, stained-glass windows, a stool in the foreground, along with a glorious 1450s Flemish prayer book by the Master of the Llangattock Hours and William Vrelant opened to a similar "The Annunciation." Yet there's no evidence that Millais ever saw the book or this Van Eyck, whose mood by contrast is joyful and expectant, though both women are clearly burdened and obedient to strict, prescribed roles. Exhibition curator Melissa Buron is not making the literal connection, but positing instead that Millais had completely absorbed Van Eyck's aesthetic in making his image. Yet by hanging these Pre-Raphaelite paintings alongside Old Masters—the self-proclaimed first international exhibit to do so—the show tempts visitors to focus mainly on the literal connections: similarity in poses, compositional elements, textures, colors and the like. They are definitely here. Ford Maddox Brown's "Oure Ladye of Good Children" (1866) closely parallels Piero di Cosimo's "Madonna and Child With the Infant St. John the Baptist" (c. 1505-10), while "Love and the Maiden" (1877) by John Roddam Spencer Stanhope channels several Botticelli works and Evelyn De Morgan's "Flora" (1894) could have stepped out of Botticelli's "Primavera," a small copy (1860s-1880s) of which by Emilio Constantini is here. Too, Rossetti's "Proserpine" (1878) twins well with Botticelli's "Allegorical Portrait of a Lady" (1475-1485), and Rossetti's "Veronica Veronese" (1872) mirrors Veronese's "Lucrezia" (1580/1583). But the story of "Truth and Beauty," with all its paradoxes, is richer than that. Sometimes that complexity is shown overtly, as in the gallery reverently anchored by Raphael's small, sincere "Self-Portrait" (1506), painted when he was about 23 and on loan from the Uffizi Galleries. But often the group's deviations from their stated ideals are merely implied, as in the disconnect between their fanciful narrative and pictorial inventions and Ruskin's command to "go to nature...rejecting nothing, selecting nothing, and scorning nothing." The Pre-Raphaelites spawned a second generation and, as their work grew increasingly decorative, they influenced artists making tapestries, furniture, illustrated books and other decorative objects. 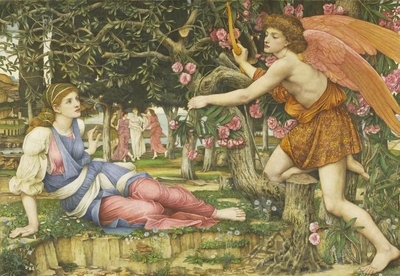 "Truth and Beauty" ends with a gallery of those works, including two beautiful tapestries, "Pomona" and "Flora" (1886-1920), designed by Edward Burne-Jones. Nowadays, their work seems anachronistic in a way that the Old Masters who animated them—or the French Impressionists—never will be. The Pre-Raphaelites are both loved and loathed. "Truth and Beauty" is unlikely to change many minds about them, but it should help visitors understand them better.